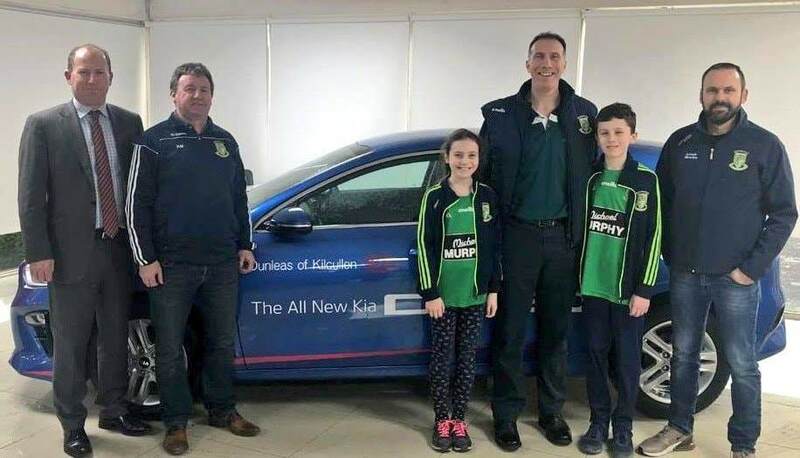 There was great excitement in Dunleas of Kilcullen this afternoon when Frank Holland collected the 2019 Kia Ceed on behalf of his father Stephen Holland. 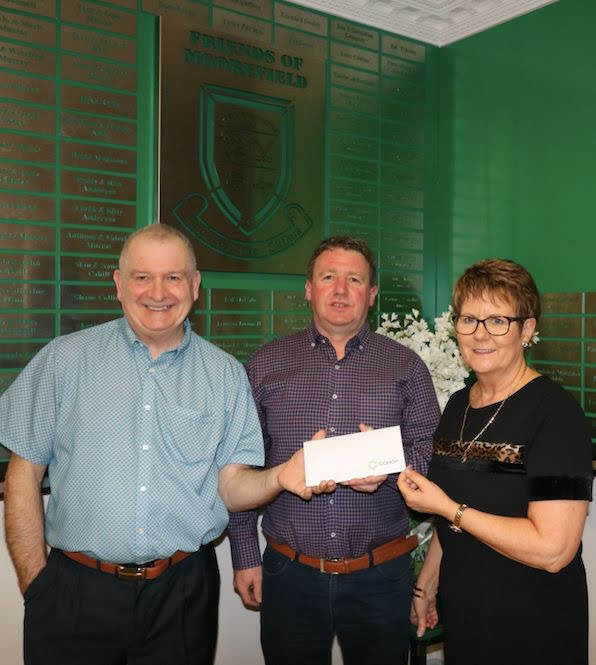 Stephen was the lucky winner of the car in our club draw. 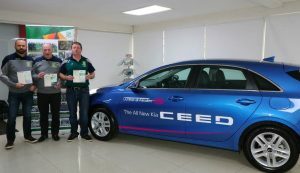 Congratulations Stephen & safe driving in your new car. Thanks to everyone who supported our Monster Car Draw. Congratulations to all of the winners. A special thanks to Mick Moloney and the organising committee for a great job! 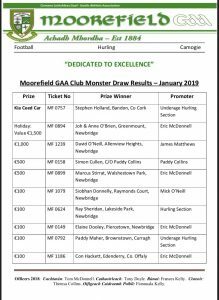 Our Monster Car Draw will take place on Friday 25th January in the Clubhouse. Music on the night by Austin Carter. All our members, supporters & friends are invited for what promises to be a great night. Don’t forget to buy your tickets for the draw for a chance to win! 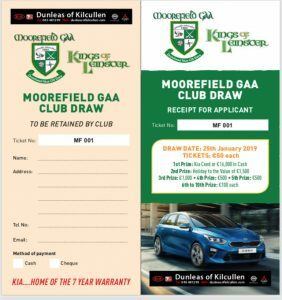 We are delighted to launch our 2018 Club Draw live from Dunleas of Kilcullen. & 7 more excellent prizes. Tickets cost €50 and are now on sale.